A couple of weeks ago I came across a recipe on Raw on $10 a Day (or Less) for Raw Molten Cupcakes which look incredible and I have not been able to get out of my head since. Tonight I was craving something sweet so I decided at 9PM that I was going to attempt to make the cupcakes and write about them to share. As I got started I realized that I was out of agave and that rather than a molten chocolate center I felt like a peanut butter cup so I switched it up quite a bit, but still wanted to give credit to my inspiration. My version is not raw because I used Bee Free Honee and peanut butter. 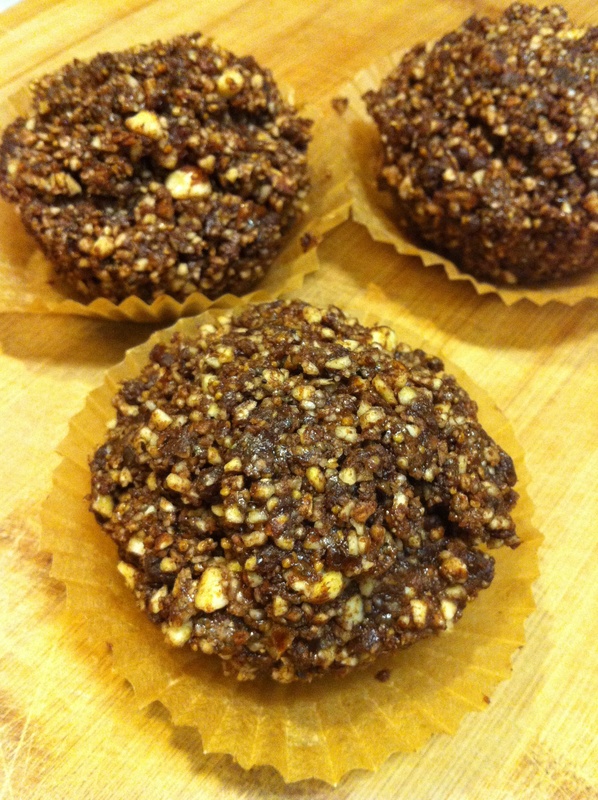 You could easily make it raw by substituting agave and raw almond butter or other raw butter. My version is also not molten because the peanut butter didn’t melt. If you wanted that molten affect you could add coconut oil. My version also has a kick of antioxidants because I added chia seeds. I put mine in a dehydrator and despite the fact that they didn’t become gooey inside they were good warm. If you don’t have a dehydrator you could put them in an oven at the lowest temperature, though if it is over 119 degrees they will not be considered raw. You could also eat as is, without warming. In a cup mix chia seeds and water. They will need to sit for 15 minutes before adding them to the mix. Make filling by mixing all ingredients and set aside. 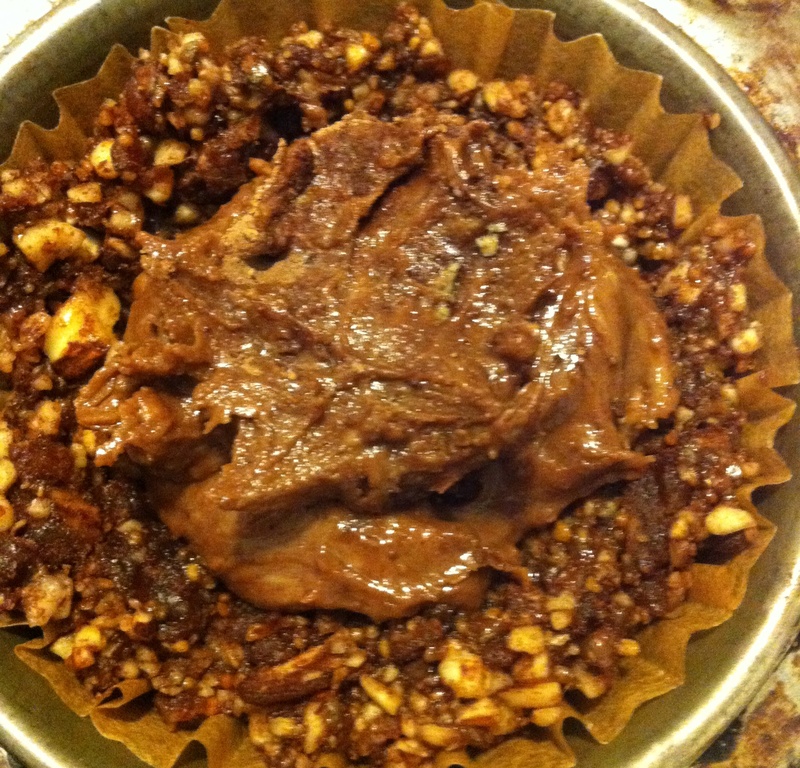 In a food processor mix cake ingredients from almonds to cacao until they become crumbs. 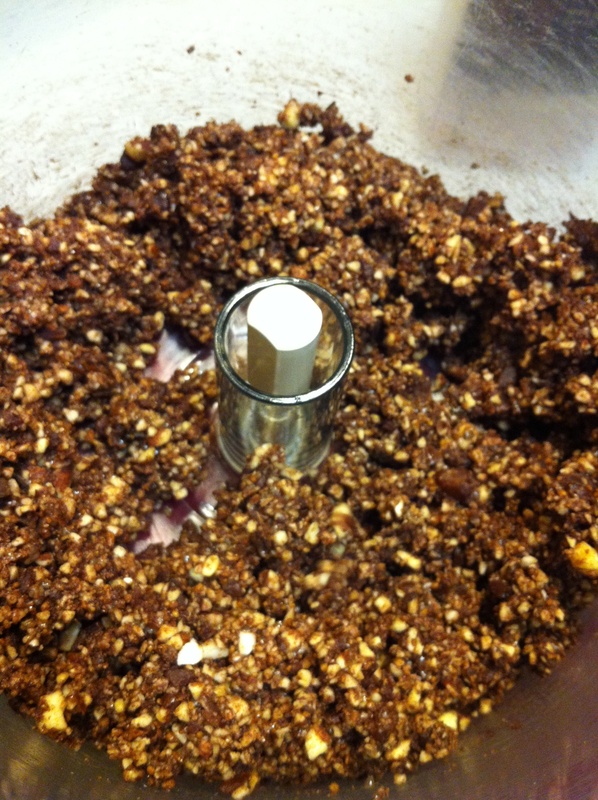 Once chia seeds have soaked for 15 minutes add to almond mixture and pulse until well mixed and sticky. Put 3 cupcake papers into cupcake pans. 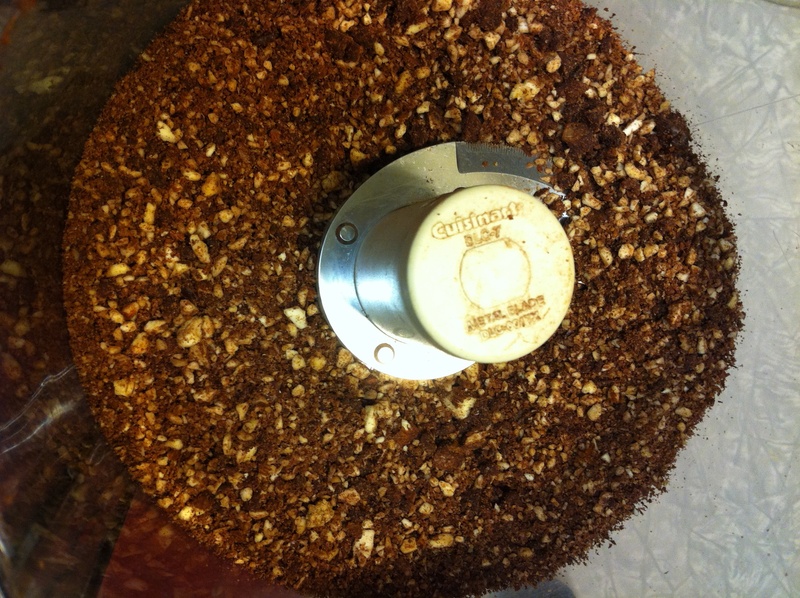 Press almond mixture onto the bottom of each cup and sides, leaving a well in the center and enough almond mix to cover top. Fill in well with filling, dividing evenly between three cakes. Cover tops with remaining almond mix, remove from tins, and put in dehydrator for 30 minutes. Enjoy! 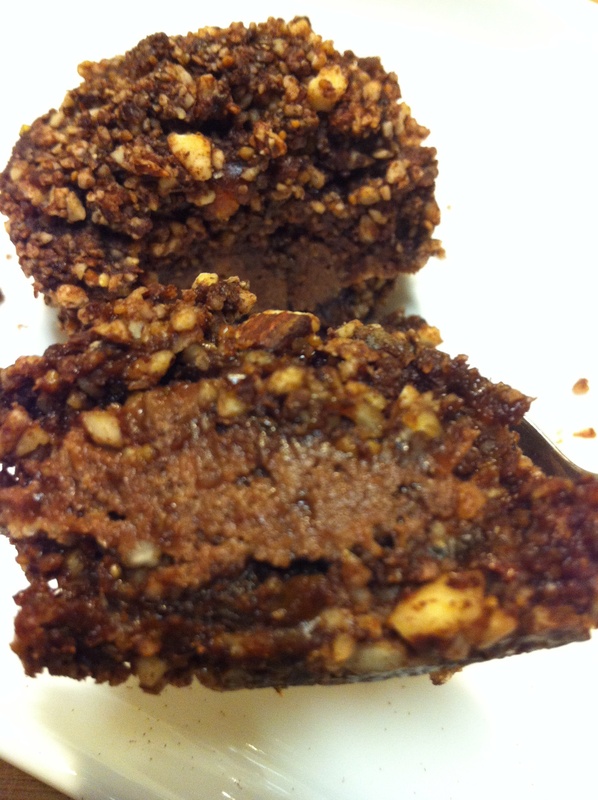 Gallery | This entry was posted in Almost Raw, dessert, Gluten Free and tagged Bee free honee, cacao, chia seeds, dessert, gluten, gluten free, peanut butter, sucanat, vegan. Bookmark the permalink. What type of dehydrator do you use? These look great! I am trying to find something like a dehydrator that doesn’t heat the house up. Haha I can’t even touch the oven in this crazy heat! I got a cheaper dehydrator made by Ronco https://www.ronco.com/products/food-dehydrator.html because I wanted to make sure I would actually use it before making a big investment. It does not warm up the room at all. Though there is no temperature control. yum yum these look delish! !